Here is the best advice for starting a food blog, which has ever been given: ‘‘Stop thinking about it! Just do it, and do it right away!” You may face some difficulties at the beginning, but the journey is both wonderful and worthwhile! Just, always keep in mind that after just a few months you will have your own beautiful online collection of the recipes, a bunch of friends who share the same interests as you, and, with time, a possibility of earning some money through this beautiful hobby of yours. As I have mentioned before on my about page, my husband is a real web professional. He earns his living by designing and creating blogs, so all this has been a smooth sail for me. Whenever I’ve encountered a problem, I would just address him: ”Honey, I would like to add this to my blog, is it possible?”! And, in just a few days, my blog contained the feature I’ve asked for 🙂 . You’ll probably say I’ve got it easy! But, you know what? Since you are my new friend now, if you come across a problem, feel free to ask me, and I’ll give it my best shot to help you out to find a solution! But, enough said! As I don’t want to give you a moment to dwell on the idea of whether or not to start your own blog, a small part of the text prepared by Darko and me, introducing you to this new blogging adventure. Just follow the step-by-step instructions and the result will be a little blog of yours for publishing the kitchen escapades of your own. And, if you come across a problem, you know whom to address for help! Maybe, just as you’ve read this title, you feel the things are slowly starting to get out of your control! You are wondering what a blogging platform is! What self-hosted WordPress are they talking about?! Do not worry, at all. Do you know what a blog is? No expert definitions will be offered here! For me, a blog is just a little web diary! As you have probably been following some blogs (while not even realizing those are actually blogs) you have surely noticed some things which you often come across on such sites. The most noticeable feature is that the articles (posts) on the blogs are time-lined from the most recent towards the oldest. Also, you have probably observed that the posts are grouped by the categories or common words (tags), and that they can also be searched for through the time archives. Also, after every article, the reader can comment the post-also a recognizable feature of the blog. And, that’s it! If you have noticed some of these things on your favorite site, you have probably been reading a blog. And now, the main part! What do you need to obtain in order to have your own blog? It’s simple-you need a blogging platform, mentioned in the title of this article! To make it as clear as possible, you can comprehend it as a program which enables your blog to work properly and contain the features we’ve been talking about earlier. Do not worry! It might look complicated, but it isn’t as you would expect! Still you must be cautious at this point, since this will be the first important decision you will make about your new food blog. The choice of the platform will determine the future possible features of your blog! Let’s go through the options offered when choosing a platform for our future food blog! In my opinion, when considering a food blog, the best choices would be: Tumblr, Blogger, and WordPress (in both the hosted and self-hosted varieties). I don’t want to dig too deep and start explaining each and every one of the platforms (this being your first lesson), but I do want to explain to you what this is all about and why, each and every time, my first and only choice is always the self-hosted WordPress ( Oh, there’s that strange word again 🙂 ). 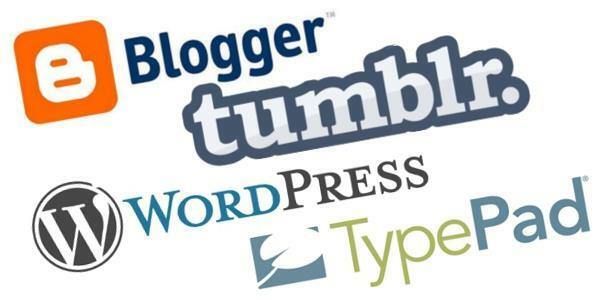 When considering the Tumblr, Blogger, and hosted WordPress, it is very clear that these are truly wonderful platforms! The point is to visit some of these websites, register, choose the name of the blog and the theme (visual appearance of the blog), and that’s it-you are ready to post your first wonderful recipe. You do not even need to obtain a domain on a server! You’ve obtained all that by registering on one of these platforms. So, at this point, you must be wondering, where’s the catch? The thing is, that one day when you have a large number of your wonderful recipes posted, and as many friends following you and anxiously awaiting for your next step, you will want to change a lot of things on your blog but you won’t be able to do that. The first thing you will want as an improvement for your blog are visual details. You will also want to add other functional features which would make your blog even more interesting for the readers. In the end, you might even consider monetizing your blog by adding various commercials and etc. This is when the problem occurs, if your choice of platforms are those mentioned the above, due to many limitations. First of all the domain name of your blog cannot entirely meet your desires. Also, the design of the blog is limited by the platforms, and many functional features which you would like to implement, once you become an experienced blogger, would only be a dream for you! Now, you can probably realize which of the platforms offers all of this- the self-hosted WordPress, of course! You must be thinking to yourself why I didn’t go straight to the point, by now! Here are just a few more pointers and we are ready for the step2! If your choice of the platform is the self-hosted WordPress, you must be aware that you would have to pay for the hosting (2-5$ per month). Also a certain amount must be paid for the address of your site-domain name (14$ per year), and at the end, you’ll have to put some effort into learning some basic stuff about how the WordPress is working. But, take my word for it, all of this is really a minimal investment, considering the outcome which are fun, enjoyment and maybe even a paycheck! Fine, I hope I did a good job in persuading you about the choice of platform! Self-hosted WordPress! Let’s move on. If you want to find out more about the blogging platforms, here is a wonderful article which will offer you more details on the subject. Do you know what a domain name is? Very simple! It is a web address through which every future site visitor will be able to reach your blog. Take a quick view on the top of the browser you are currently using, as you are reading this (Safari, Mozzila…). In the upper left corner you will find an address line, containing the page address you are now reading. So, for my chocolate blog, domain name is omgchocolatedesserts.com (extended https://omgchocolatedesserts.com/). Most commonly the domain name is the same as the blog name, with an addition of the .com. Is there anything else left to know about this subject? There are several things influenced by the domain name if you aim to be better positioned on the Google search engine (SEO). However, in the case of our field of interest, which is food, after some analyzing, I came to the conclusion that most of our visitors will get to our blog through different paths (Pinterest, Facebook, Foodgawker…), thus we don’t have to pay too much attention about the SEO rules for the choice of the domain. So, just choose a nice name for your food blog which you will enjoy. My advice would be not to overdo it with a length of the future domain name! I think that a maximum of 2-3 words should do it just fine! When creating a domain name, feel free to connect those words into a sequence, ending with a .com. For example, if you want your blog name to be Annie’s cakes, your domain will be anniescakes.com. When choosing a name it is necessary to check whether this domain has already been taken. You wouldn’t believe how big of a problem this might be, since most of the domain names you prefer might already be taken. Truly unbelievable! Ok, so you think you have made an excellent choice! 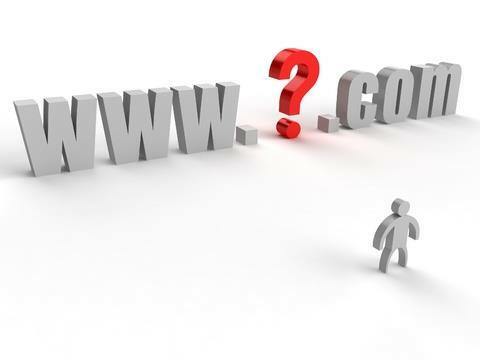 Let’s check out if your choice of domain name is available! Here is the spot where you can check it out immediately, and if available, make a purchase! My husband does these sorts of things on the site GoDaddy. Type in your preferred domain name word in the field “Search for a new domain” , choose “.com” and then check out if your new address is available. Do not forger that you have to pay for the domain name approximately 14$ per year. If your domain name is available, you can make the purchase at once. Still, the best option might be not to do so at once, since, when paying for the hosting, you might have an opportunity to do it all simultaneously (somewhere, along the hosting, even for free). So, wait for the next step! So far, so good, isn’t it? Well, the time has come to take a next important step which is the choice of hosting for our food blog. Step 3: Choosing hosting for your food blog – Only big players allowed! Hmmm, the hosting! Another new and unfamiliar word! You must realize that your blog, all the texts and the photographs on it, need to be placed on a special computer (server), which would constantly be available to your visitors. Well, that type of service, which is to lease a space on a computer server, is called hosting. This would also be the largest investment for starting your own blog, for now. On the internet you will be able to find a great number of companies offering these kinds of services, and you might notice that for the same offer the prices might significantly vary, from company to company. Since you are an absolute beginner in this field, at this point, and you do not know whether your blog will become a huge success one day (I know it will), the basic hosting plan would completely meet your needs! Prices for this kind of hosting usually vary from 2-5$ per month of hosting! So why not save and choose the cheapest offer, you might wonder? My recommendation is not to rush with a choice of hosting company based on the cheapest offer, alone (this is a lesson I have personally learned the hard way)! 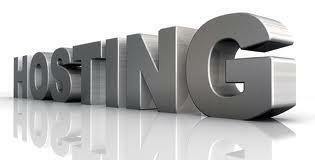 The first reason is the quality of the support you will have from a certain hosting company. As your blog grows, you will encounter many new “technical” problems. If you lack a true quality support, even the commonest sundries might turn into a real nightmare! Another issue is a growing number of visitors of your site! In this case, any interruption or malfunction (and, when speaking about cheaper offers this might be a very common thing) might be very frustrating, and if you have already monetized your blog, you might end up losing money! Therefore, at certain point, when your site becomes a very popular one, you will be forced to leave the basic package and obtain the more advanced one, and such quality services are offered only by the biggest and the best hosting companies! So, my advice would be to stick with the well known hosting companies, which are the biggest players in this branch! My favorite hosting company (and the one currently containing this blog) is the Hostgator. In all of my experiences, so far, I have never come across the better and the faster support than the onethey are offering! Also, the Hostgator offers all kinds of hosting packages, from the basic ones to the strongest ones, such as leasing the complete computers (dedicated server). This means that one day, when your food blog becomes really popular, the transit from the basic package to a more advanced one will be very simple, and most of the work will be done by the staff of the Hostgator. Here is the procedure of buying the hosting! Visit the site hostgator.com, and by clicking the button “View Web Hosting Plans” you are already on the page for choosing one of the few basic hosting packages. If you, for example, want the most basic package Hatchling Plan, just choose the buying time limit of the hosting (you’ll always get a better offer for the longer period of time) , and press the button “Order Now”. If you still haven’t buy the domain name, you can do it now, simply by entering the name of your future domain! The Hostgator will check its availability. The cost of the buying of the domain name here is around 13$, which is a common price of this service. If you have, however, bought the domain earlier, the option “I already own this domain” should be checked and entered in the reserved field. Other necessary data are mostly in relation to choice of the package and payment details. And-that’s it, you have created your account and leased the web space! The Hostgator’s support will inform you about a few more details, and you have only one more step to take in order to start your own blog. By the way, if you want to lease the hosting with another company, I can recommend the companies Bluehost i GoDaddy. A few of my friends are very satisfied with their support, and, along with the Hostgator, they are considered to be the biggest players in the world of hosting. Ok, that is all! As I have said before, there is just one step left! The installation of the WordPress on your new hosting, and you are ready for placing your first post! Step 4: The WordPress installation – The countdown begins! Are you anxious? You are just a tiny step away from your food blog being ready for your adventures from the kitchen! But, in the subtitle you have read the “Wordpress installation”, meaning that one of the most complicated informatics operations is at hand, and you are ready to give up the whole thing, and simply run away! 🙂 Fear not! You might not believe me, but this is probably one of the simplest steps, so far! It’s so simple that I won’t even write about it anymore. I’ll let you take a look at a small YouTube movie, presenting a few simple steps leading to your blog. Since I’ve mentioned the Hostgator in the previous passage about hosting, the following film is an installation instruction, in case of buying the hosting on their servers. Otherwise, other companies offer the similar principle. And if you come across a problem, just address your hosting company and they will quickly direct you to the solution of your problem. Already done? Ooh, well, welcome to the world of blogging! I am really glad if you have, by following my instructions, managed to start your first little food web corner! 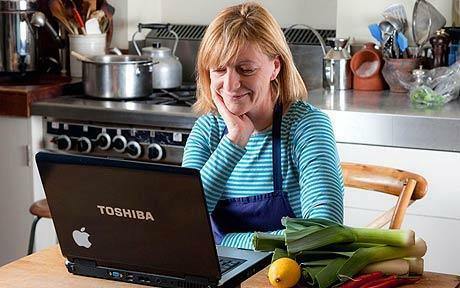 I hope you will let me know when your blog contains a few lovely recipes! 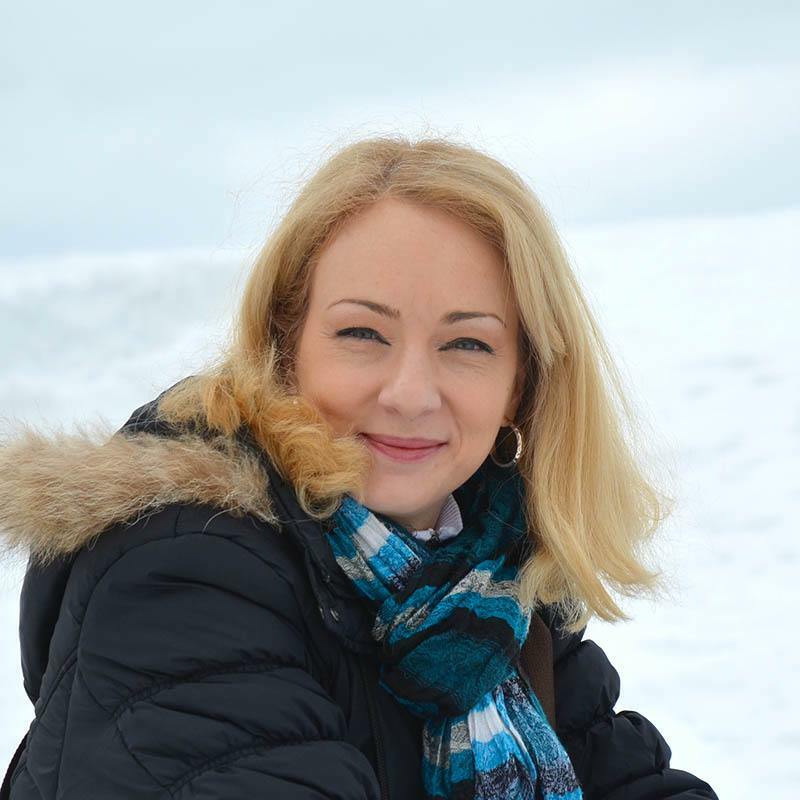 I will be truly happy to be one of the first visitors and follower of your blog. And, of course, if you encounter any kind of problems, do not hesitate to ask me for help. My little chocolate crew will always be available for you!